Peter Lenrow took up painting when he retired in 2011. He chose watercolor, and has been guided by workshops and demonstrations primarily on landscapes, figure drawings, and portraits. At the same time he began painting, he began writing poems, some of which were about the settings he was painting. He received guidance in the Poetry Writing Group at the Westport Senior Center. After several years, he discovered that most of his pairs of paintings and poems were about shelter –- coves, harbors, unnoticed nooks. In 2015, he produced a large exhibition of these pairs of paintings and poems at the Westport Public Library. It was designed to celebrate “nooks” as reminders of how precious and vulnerable natural shelters are in our environment. Lenrow has gone on to create many paintings and poems that are not linked, and well as others that are. They include a wide variety of subjects such as seascapes and historic landmarks. He typically explores everyday settings and moments that evoke a sense of wonder. 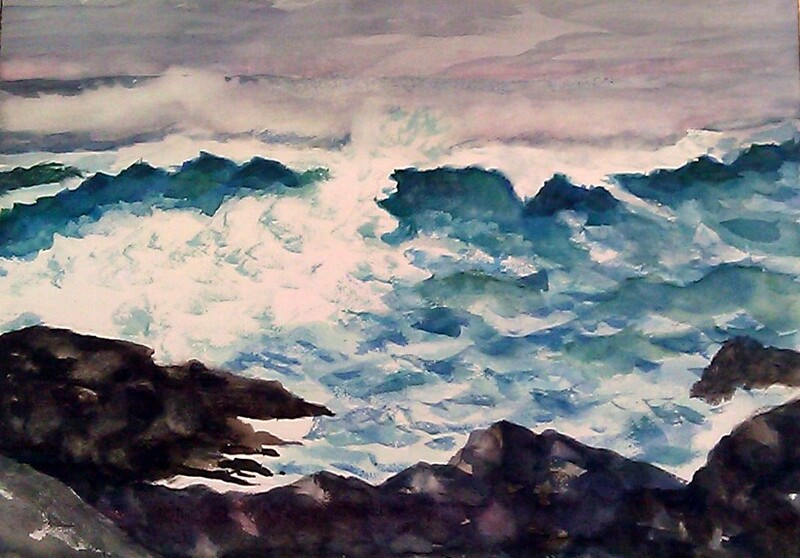 His work has been exhibited at the Westport Art Group galleries, South Coast Open Studio, Westport Library, and Preservation Hall, Wellfleet. Peter can be reached at peterlenrow@aol.com.